Product prices and availability are accurate as of 2019-04-18 10:40:36 UTC and are subject to change. Any price and availability information displayed on http://www.amazon.com/ at the time of purchase will apply to the purchase of this product. It’s important to show your school and/or team spirit with the big game just around the corner! This Springfield Collection outfit features a sporty cheerleader outfit and vibrant yellow pom poms for use with any 18-inch doll. The top makes a great Halloween costume for your favorite doll, and can even be used as a normal daily outfit; the options for customizing are endless! 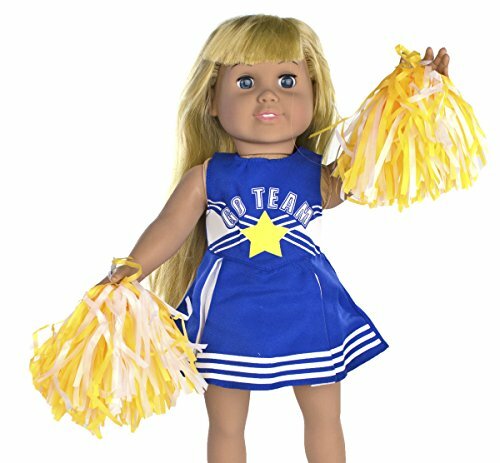 Our cheerleader uniform is the perfect outfit for any of your stylish 18-inch companions, including American Girl, Our Generation, and BU-tiful Dolls to show their school spirit. Go team! SCHOOL SPIRIT: It's important to show your school and/or team spirit with the big game just around the corner! 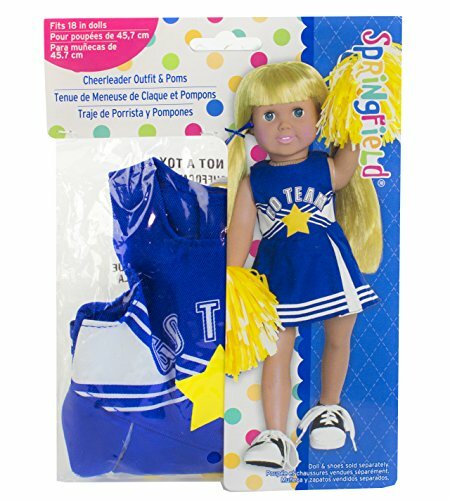 This Springfield Collection outfit features a sporty blue and white cheerleader outfit with fun yellow pom poms for use with any 18-inch doll. 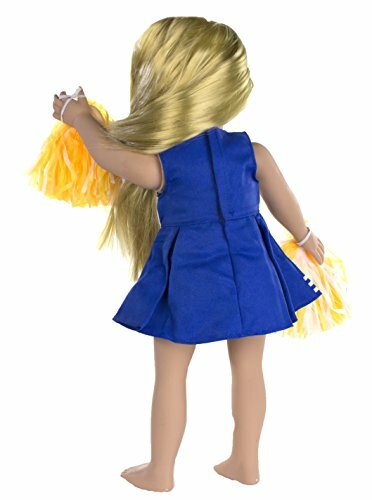 FITS ALL 18-INCH DOLLS: Our Blue and White Cheerleader Outfit with Yellow Pom Poms fits all 18-inch dolls, including American Girl, Our Generation, and BU-tiful Dolls. It's the perfect outfit for any of your 18-inch companions to show their spirit! 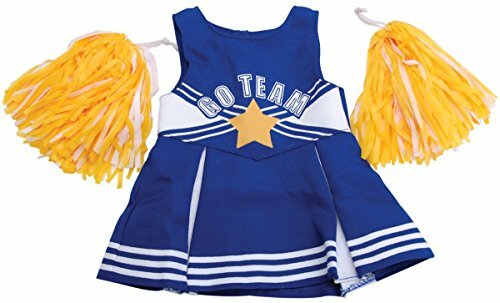 MIX AND MATCH: This Springfield Collection Blue and White Cheerleader Outfit with Yellow Pom Poms is great for more than just the big game. It makes a great Halloween costume for your favorite doll, and can even be used as a normal daily outfit! EASY CLEAN: With how much your doll will be showing off this chic outfit, it's bound to get dirty and scuffed up. The Blue and White Cheerleader Outfit is machine washable, making cleaning hassle free. Simply include it with any dark load of laundry. SPECIFICATIONS: Package includes (1) blue and white cheerleader outfit and (2) yellow pom poms.